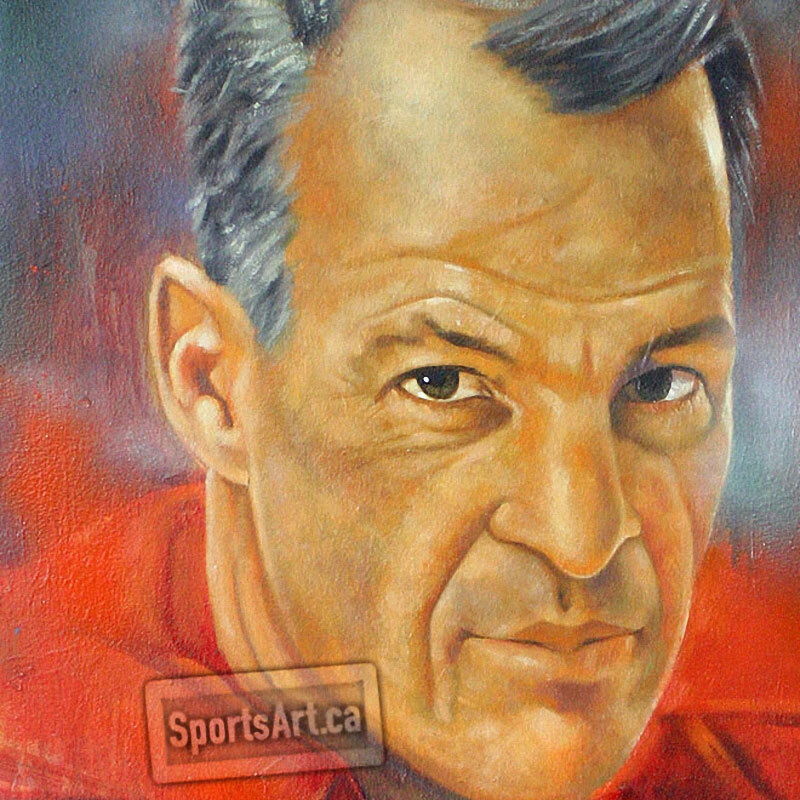 The legendary Gordie Howe is featured in this original Gary McLaughlin painting. 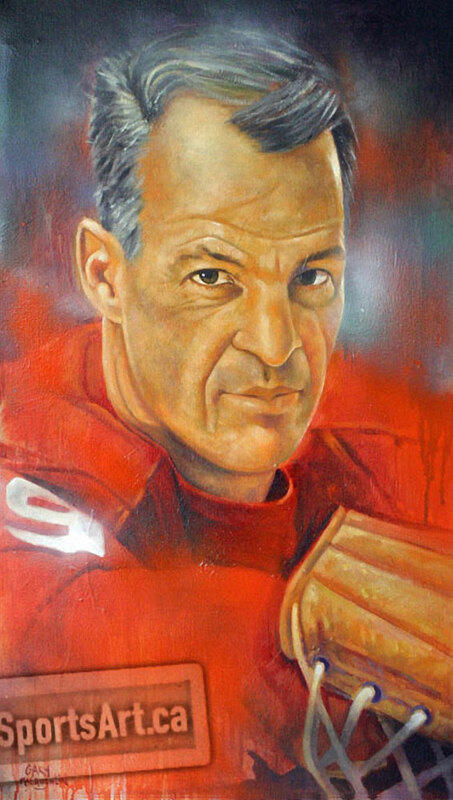 “Mister Hockey” is captured in his heyday with the Detroit Red Wings. A limited edition of 99 prints are also available. Original Oil Painting – 22×36", Limited Edition Print – 22×36"